Agrimony is commonly used as an astringent and hemostatic to inhibit bleeding, restore tone to the stomach and intestines, and counteract flaccidity. It can be used to help support any symptoms associated with bleeding, including blood in the urine and in the stools. It has also been shown to have antiviral properties. A good antihemorrhagic combination is equal parts agrimony, cinnamon bark and yarrow. To reduce bleeding, the Chinese use the ashes of burnt hair or mugwort. The burnt ash of agrimony taken internally, and applied externally, is also more effective than using the unburnt herb to inhibit bleeding. Ointments and boluses are made to shrink bleeding hemorrhoids. Besides its antihemorrhagic and astringent effects, agrimony is specific for irritable bladder and renal pain caused by kidney and bladder inflammation. In all cases where there is flaccidity and/or abdominal secretions with inflammation, agrimony can be employed. This may include bronchial or pulmonary cough, leucorrhea, dysmenorrhea, colitis, proctit is, ileocolitis and ulcerative stomatitis. The Eclectics also found it effective for erysipelas. Traditional Chinese Medicine regards it as one of the most important herbs for immunity. 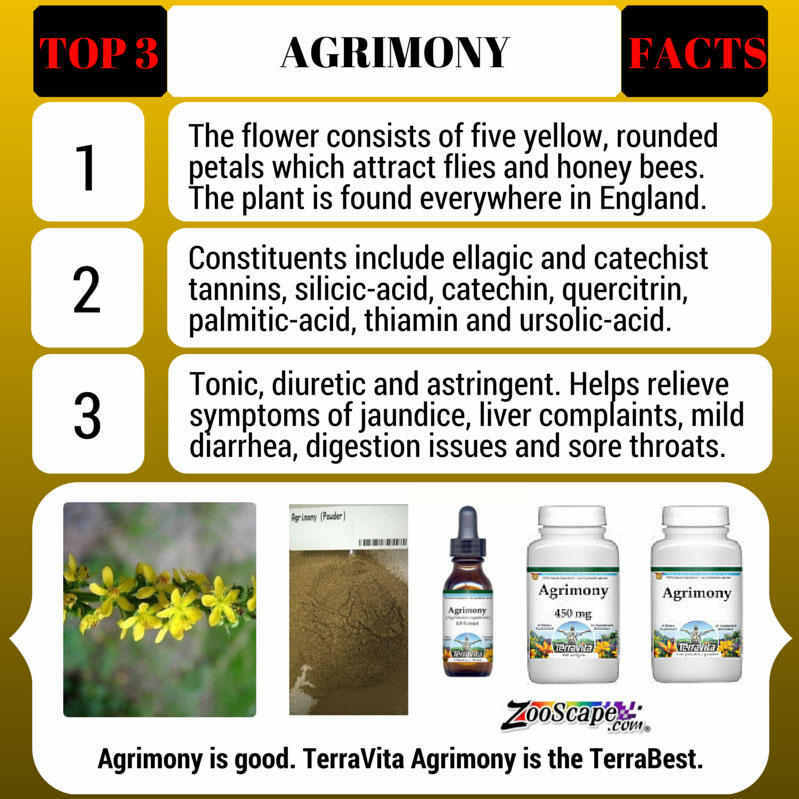 Agrimony is typically used to help support hemorrhage, irritable bladder, kidney pains (agrimony with marshmallow root), pulmonary and bronchial phlegm. 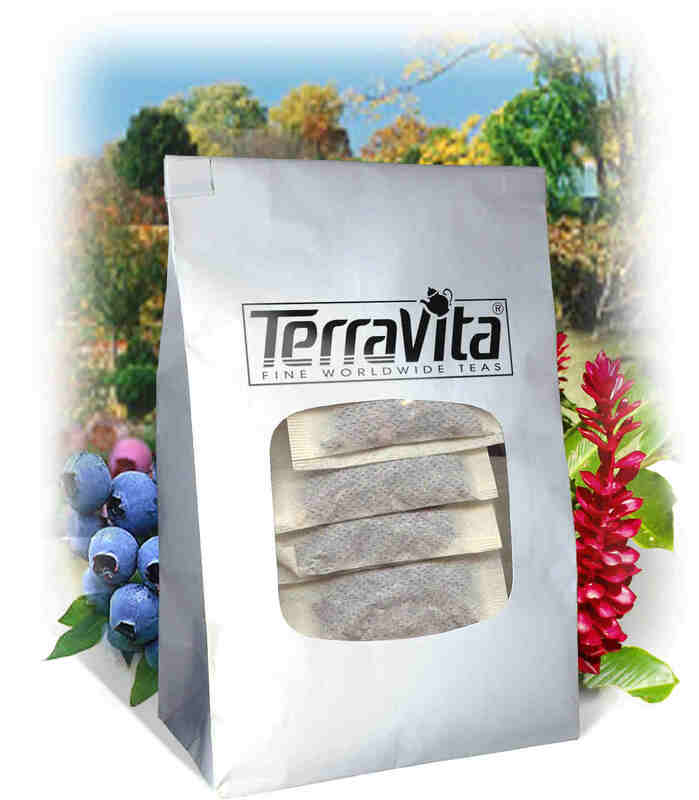 The active constituents include taimins, bitter glycosides, coumarins, flavonoids, nicotinic acid amide, silicic acid, polysaccharides, vitamins B and K, iron and essential oil. The above-ground or aerial portions of the plant are collected and dried for use in herbal preparations. 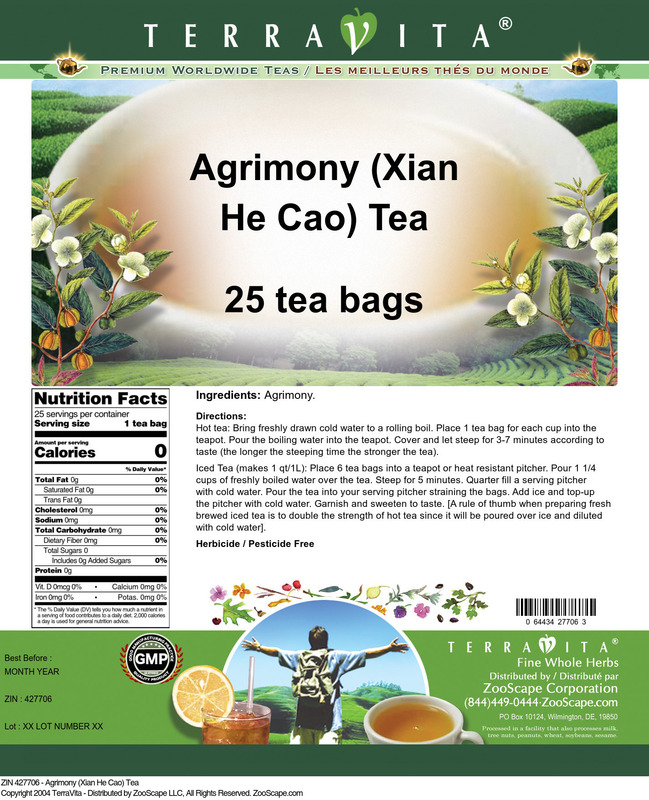 Dosage: 6-15 grams taken in a mild decoction or 10-30 drops of the alcoholic extract. Simmer root and seeds by boiling in 2 cups water for 15 minutes. Remove from heat, add agrimony leaves, and let steep for another 5 to 10 minutes, or to taste.